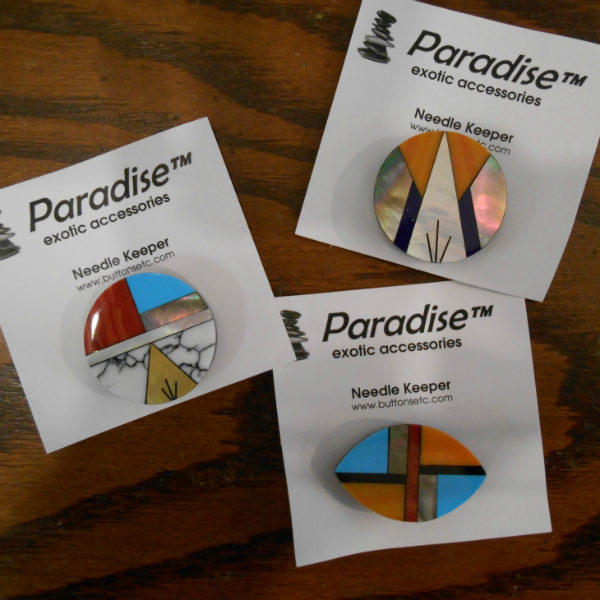 Beautiful inlaid magnets with a native American feel. Use as a needle minder or magnetic brooch. Price is for one. Let us pick for you or call the shop 650-321-3494 to discuss. Inlaid needle minder or magnetic brooch. Price is for one.